When making a South Indian meal, when I want a change from the sambar, I make a vegetable kootu. Kootus are made with some kind of a vegetable and usually a dal, except when we make Moru Kootus, then we don't add lentils to the dish. 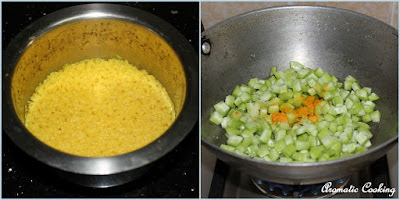 We also add a lot more of the vegetable when making a kootu than when we make sambar. So if you make some rice and pappads, then along with the kootu, it would be a simple and filling meal. 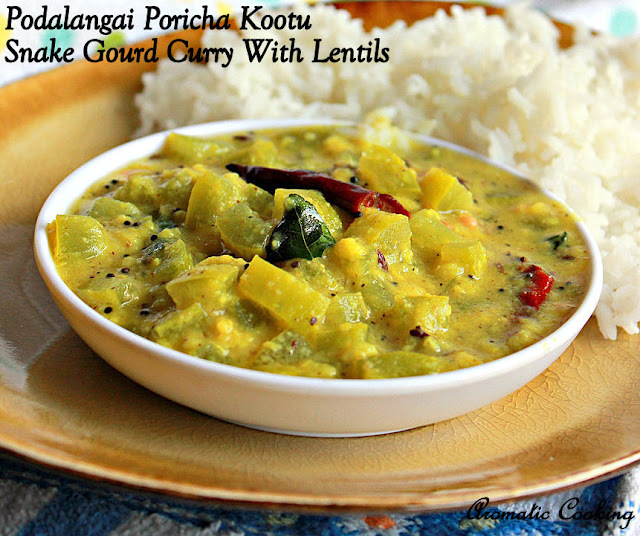 Today's kootu is with Podalangai/Snake Gourd and we use moong dal/split green gram in it, Podalangai Poricha Kootu. 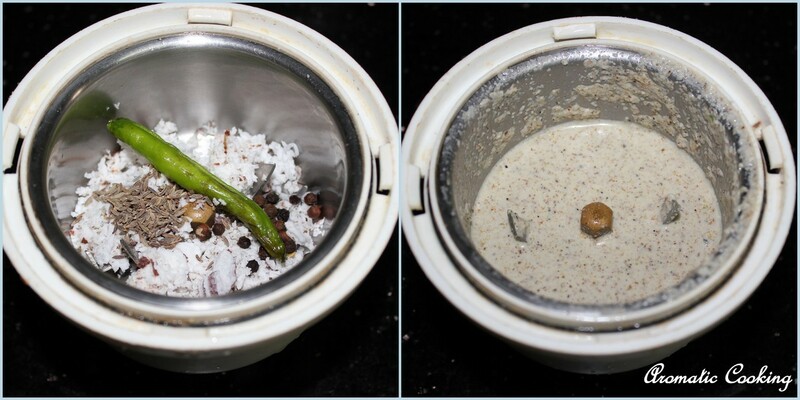 This kootu/curry is very flavorful from the freshly ground coconut-spice paste. Serve this with some white rice and a little ghee and some sutta appalam on the side, it such a delicious combo..
Wash and cook the dal with 1/4 teaspoon of the turmeric powder and keep. Gently scrap the outer skin of the snake gourd, remove the inner seeds in the center and chop them, came to 2 cups. 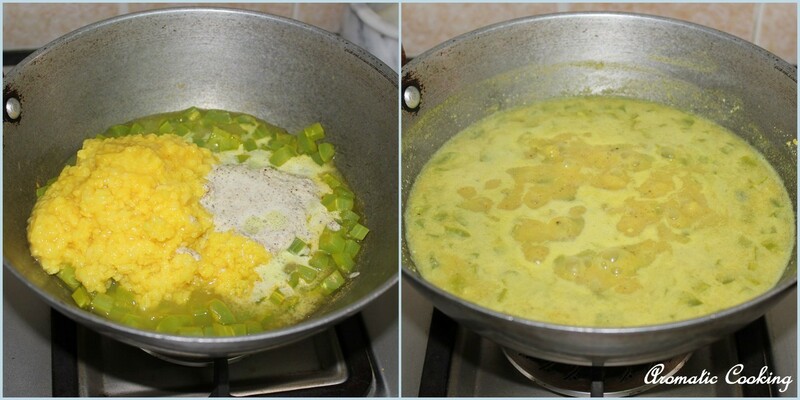 Cook the snake gourd with some salt, remaining 1/4 teaspoon turmeric powder and a little water till cooked and done. In the meantime, grind together all the ingredients given under ' to grind ' along with a little water and keep. 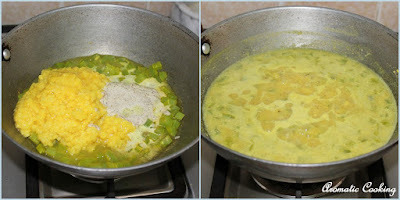 Once the vegetable is cooked well, add the cooked dal and the ground paste, if needed some water, mix, bring it to a boil, then simmer for 5 minutes and switch off. Heat a little ghee or oil in a pan, add the urad dal, mustard seeds and cumin seeds, when it starts sputtering add the red chilly, mix, add the curry leaves and switch off. Add this to the cooked kootu, mix and serve. 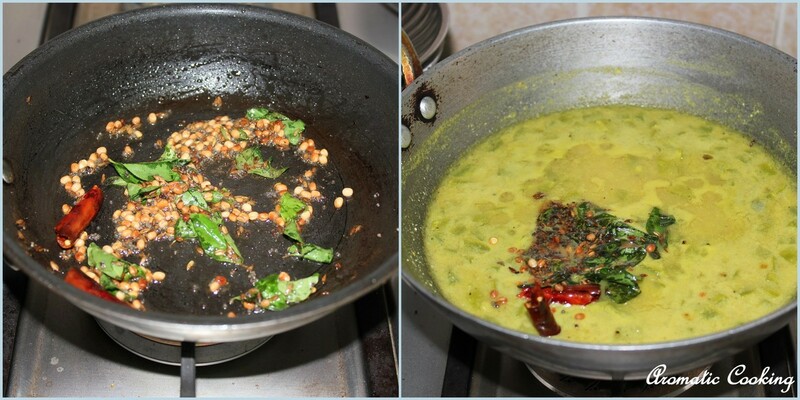 You can pressure cook the dal or cook it in a regular pot, just don't overcook it into a paste. Doing the seasoning in ghee gives a nice flavor but if you don't want you can use oil. I am a fan of all kootu varieties, especially this snake gourd one.. Looks so delicious and comforting..
very delicious kootu.. I love snack gourd in any form.. This curry looks so comfy and delicious. 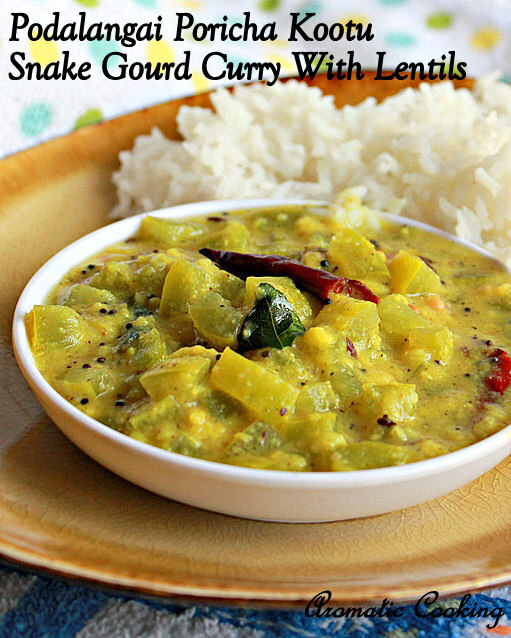 Snake gourd and lentils go so well together. Lovely share, Hema. I've only used snake gourd once and I'm so loving your curry, combining it with lentils!